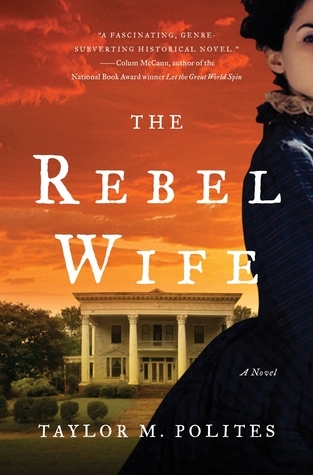 The Rebel Wife by Taylor M. Polites is the story of a young Southern woman trying to get control of her life in the aftermath of her husband’s death from a mysterious blood fever. The tricky part is, she never had control of her life before his death either. Augusta (Gus) Branson is not a strong woman. She was brought up in the antebellum old money society that was destroyed by the war, and she was hardly more than a child when the war ended. Her family was shattered. Her destitute mother forced her into a marriage with Eli Branson, a wealthy and politically powerful scalawag. For ten years, Gus lived with material comfort but shunned by her old friends because of her husband’s activities. And suddenly, she finds herself widowed. Widowhood frees her from a loveless marriage, but Judge, an old family friend, tells her that Eli’s investments have failed and he has left her with a mountain of debt. Judge promises to try to help her–he promised Eli that he would. She just needs to be patient and quiet and he’ll take care of everything. The strange thing is, Judge and Eli hated each other. Why is Judge the executor of the will? Gus must now face life head on. Can she trust Judge? Eli’s servant/partner, an ex-slave named Simon, doesn’t think so. Simon is searching for a packet of money that he is certain Eli has left somewhere on the premises. Eli and Simon were involved with some shady dealings. So should she trust Simon? Racial prejudice and violence are rampant, and Gus puts herself and Simon at risk by throwing in her lot with him. The story takes place in the heat of the summer. The plague that claimed Eli is spreading and people are panicking. Gus must protect herself, her son, and the few servants/ex-slaves who have remained with her, but she can do nothing without money. If the packet exists, she and Simon have to find it before Judge. The result is an atmospheric tale of a weak woman finding a reservoir of inner strength. Gus has to open her eyes to all the falseness around her and accept the lies and prejudices for what they are–and then move on. 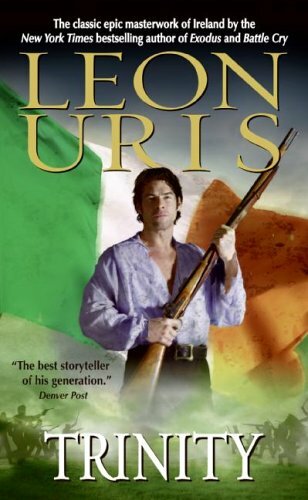 I wanted to read this because of the post-Civil War deep south setting, but it wasn’t exactly what I was expecting. With its political intrigues and hunt for the money and who-can-be-trusted atmosphere and time-is-running-out threat of the plague, it was more of a thriller than I thought it would be, except it wasn’t actually thrilling. It has a slow build. The language is very careful and the imagery of the heat is worked in to really make you feel sluggish. Gus languishes a lot, particularly at the start, but in her defense, she had never had to make decisions before. The laudanum bottle beckoned. It must have been tempting too to simply let Judge take over and pretend. But Gus does wake up to bring the story around to a satisfying conclusion. It’s an interesting story after all and well worth the read. 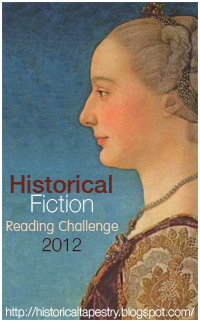 I'm adding this to my historical fiction challenge. 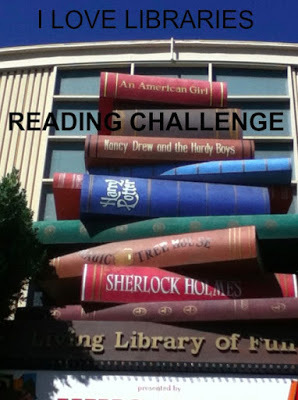 Come on over to Historical Tapestries to see what the challenge is all about! The book blogger hop, hosted by Crazy for Books is back! Hurray! 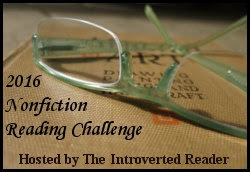 What are the next five books in your TBR (to-be-read) pile? And, don’t worry, you can change your mind and read something different. So here are my next five books. This one I'm sure I'll read next because it's a library book, so if I don't, I'll lose the chance. This is the book my historical fiction book club chose for its next meeting, so I have to read this one soon. 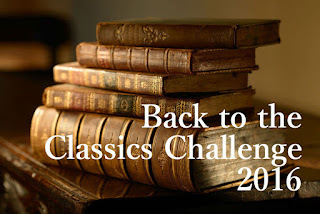 After that, I need to get cracking on my Back-to-the-Classics challenge, so I think the next book will be my reread. 3. Madame Bovary by Flaubert. Now I'm excited to get reading. And to see what other bloggers have on deck. I found the book I was looking for—the something light that would reverse my recent trend of reading books that, though wonderful, are heavy for one reason or another. 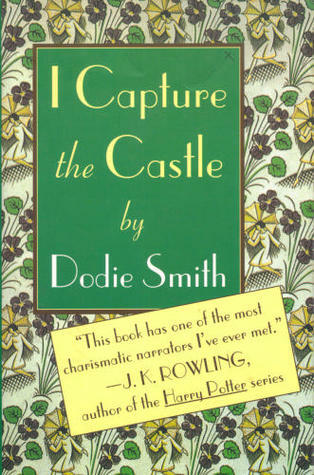 I Capture the Castle by Dodie Smith is even more than I hoped. It starts off lighthearted and charming, with undertones of fairly innocent-seeming family turmoil. But it is a coming-of-age story, and it becomes increasingly sophisticated, losing its innocence, as does its young protagonist (in a written-in-1948 way), so that by the end I realized I was caught up in an astonishingly complex book. Cassandra Mortmain is seventeen years old and begins to keep a journal to practice her writing. Writing is in her genes. Her father is renowned as a literary genius, although he wrote only one book and that was far too many years ago. Since then (and after the death of her mother), Cassandra’s family has fallen into poverty. Extreme poverty. That’s the crux of their dilemma. The family consists of Cassandra, her beautiful but embittered/resigned older sister Rose, her smart young schoolboy brother Thomas, her stepmother Topaz, who is an artist’s model with a strange pale beauty and a palette of unconventional behaviors, and an orphaned servant of sorts named Stephen, who is two years older than Cassandra. Stephen has the looks of a Greek god and is deeply in love with Cassandra. And finally, Cassandra’s father lives with them, but he spends his days in the gatehouse- not writing. They live in a rundown English castle, spared paying rent by the generosity and then death of the owner. At the opening of Cassandra’s journal, they are essentially out of options. All their saleable furniture has been sold. Rose, in desperation, offers to sell her soul to the devil, and although the others treat it as a joke, the family’s very real need dampens the humor. And then, things change. The heir to the castle, Simon Cotton, arrives from America with his brother Neil. They are, to Cassandra’s delight, very nice men. To Rose’s excitement, Simon is now a wealthy man. To no one’s surprise, Rose sets her sights on marrying him. And so, the relationship shifting begins. Although this is Cassandra’s coming-of-age story, she records for us how everyone in her sphere is changed. I love these kinds of books—books that are written as journals or letters—when the author is able to truly capture the protagonist’s voice. 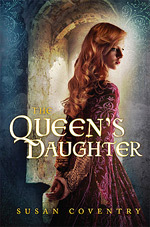 Cassandra comes alive in this novel. She is witty, poignant, and extraordinarily real. Wise beyond her years, too old to be precocious, and straddling that line between childhood and adulthood, Cassandra lets go of her "conscious naivete" (early on, she is accused by Simon of being consciously naive) bit by bit. Her observations about life are amusing one moment and heart-twistingly poignant the next. Cassandra embraces every experience and every emotion. The pages are filled with the buoyant hopes and crushing disappointments familiar to anyone who has ever been young. She delights in learning new things—the differences between Americanisms and Englishisms jump off the pages seen through her eyes. Her simple joy in the food she gets to eat after a long period of famine, of the chance to explore London with her sister, of lying in the sun on a warm day, may not be high drama, but in Cassandra’s beautiful style, the events of the day are captivating nevertheless. As you read, you begin to realize that there is a lot more going on in the book than seems present on the surface. This is not a straight-forward love story. In Cassandra’s frank, open voice, Dodie Smith touches on art, literature, music, class inequality, religion, and psychology (the father is quite a piece of work). However, Cassandra does fall in love. Since 1948, readers have been falling in love with Cassandra (and falling in love along with Cassandra most likely. This book has three men who are easily more deserving of the title romantic hero than Heathcliff-bleh.) If you want to read something beautiful, find a copy of I Capture the Castle. 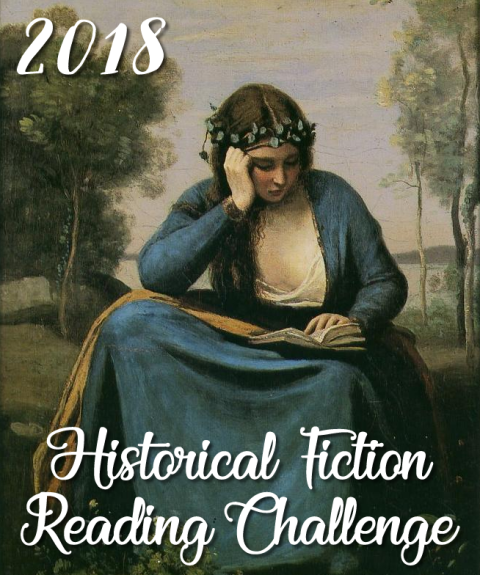 And if you're looking for more historical fiction, check out the historical fiction challenge hosted by Historical Tapestestries.